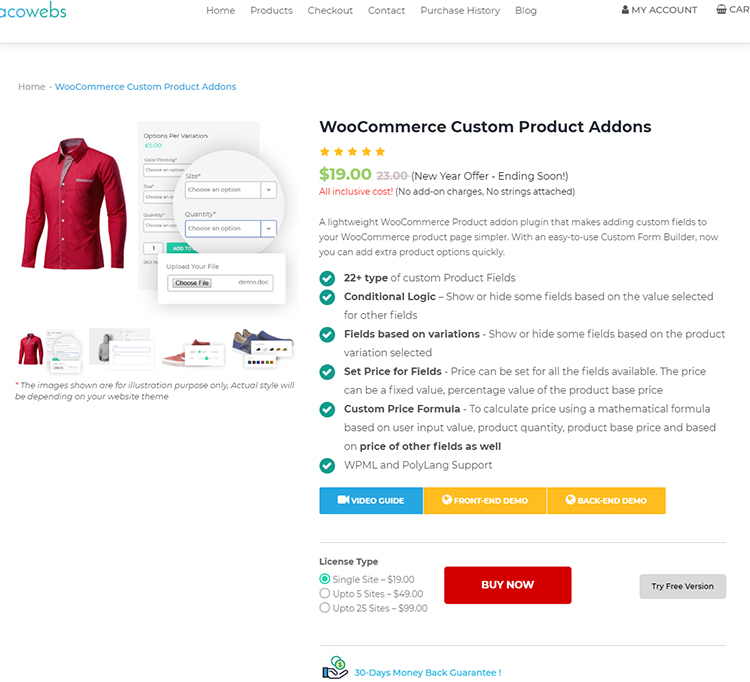 For purchasing the pro version, navigate to: Products -> WooCommerce Custom Product Addons. Click on the BUY NOW button. While scrolling down you can see two forms to be filled. One contains Personal Info and the other is to Create an account. 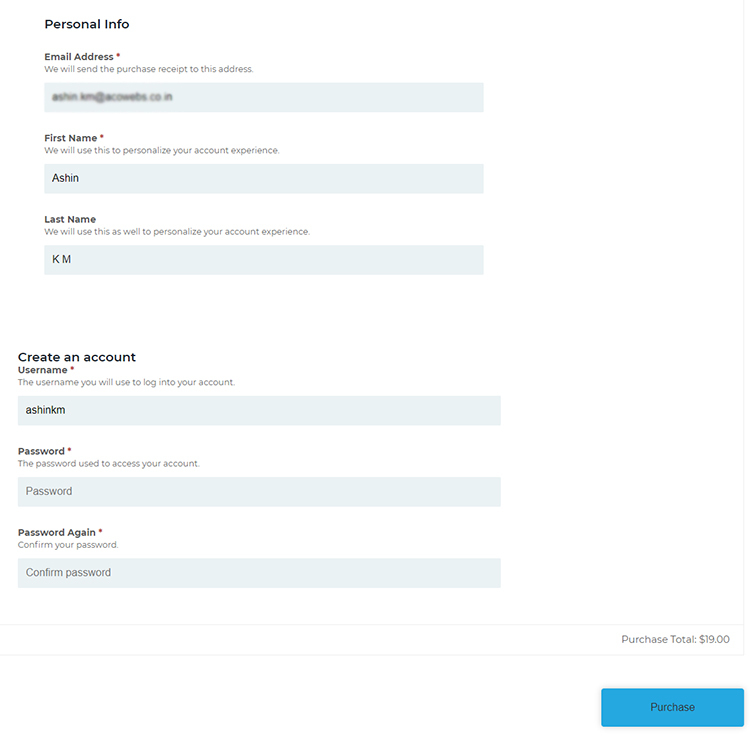 After clicking the Purchase button you will navigate to the PayPal payment gateway. Payment Confirmation will be received after you payed. You can also download the Invoice from here. 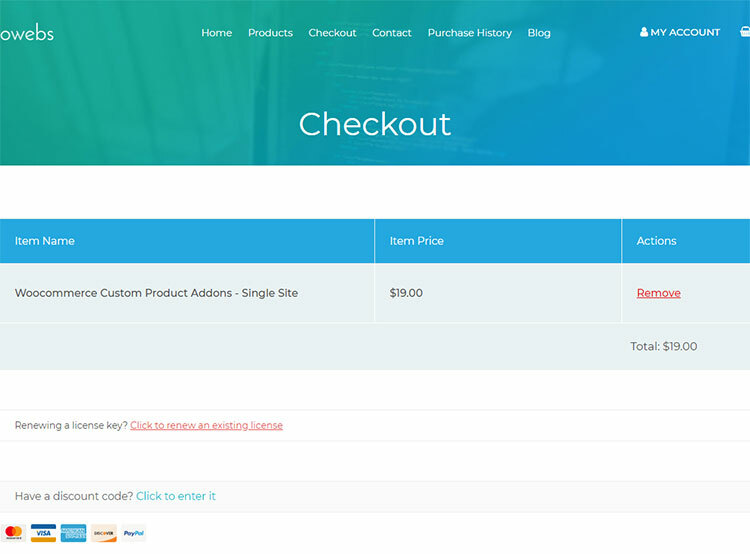 Now you can able to Download the WCPA plugin by clicking the link shown in rounded area.